Seductive Italian style and exhilarating performance help make the Alfa Romeo Stelvio the quintessential luxury SUV. Innovative technology blended with passionate power help make the Stelvio the perfect choice for those looking to invigorate their daily commute. Enjoy 280 horsepower and 306 lb-ft of torque from its standard 2.0-liter turbocharged 4-cylinder engine. Every aspect of the Stelvio interior is carefully centered around the driver in order to inspire confidence behind the wheel. Advanced driver-assistive technologies offered on the Stelvio include blind spot detection, adaptive cruise control, and lane departure warning. 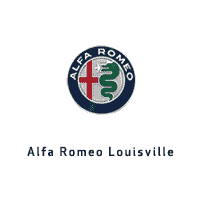 Available AlcantaraⓇ, accent stitching, and fine Italian leather are just a few highlights of the sophisticated craftsmanship found inside the striking Alfa Romeo Stelvio.